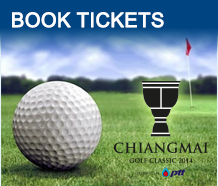 This 72-hole strokeplay tournament which is sanctioned by the Asian Tour is the first international event of this scale to be held in Chiang Mai. It will showcase 144 players with the leading 94 Asian Tour players featuring in the elite field alongside 10 players from the top-200 of the Official World Golf Ranking, 30 players from Thailand and 10 sponsor’s invitations. 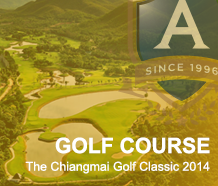 With global television exposure, the Chiang Mai Golf Classic aims to establish and promote Chiang Mai as a golfing destination and elevate the economy and tourism in Chiang Mai and the northern part of Thailand. The tournament will see the participation of a collection of international and regional golfing stars that will be announced progressively in the lead up to the event. Format of Play The tournament will be played over 72 holes (4 rounds) stroke play. After 36 holes, the field will be cut to the leading 65 players plus ties.